We've been a leader in the moving and shipping industry for almost three decades. Our comprehensive Minnesota services make shipping easy. We help thousands of families every year — let us help you. Your time is valuable, why not let us prepare for you? Here's how it works. When you choose our White Glove service, professional movers prepare your items for you. When your goods arrive at their destination, just tell our two-man moving team where you want everything. They’ll unload and deliver inside, so you'll have extra time to relax. Or save money with our Economy service. Use our packing tips to prepare your items for transport. When we show up, just give our mover a hand loading your items onto the truck. When your items arrive at their destination, we drop them off curbside. In a hurry? Ask about our Economy Select or Economy Plus options. Whether you choose Economy or White Glove, our Minnesota shipping professionals will make sure everything is classified and documented correctly. No delays or fines for you. Why choose TSI as your Minnesota shipping company? Our vast network means you can ship to and from almost anywhere in the US quickly. Minneapolis. Saint Paul. Duluth. St.Cloud. Wherever you are located in the North Star State, we can help. Our dedicated team members go above and beyond to get you the best price. 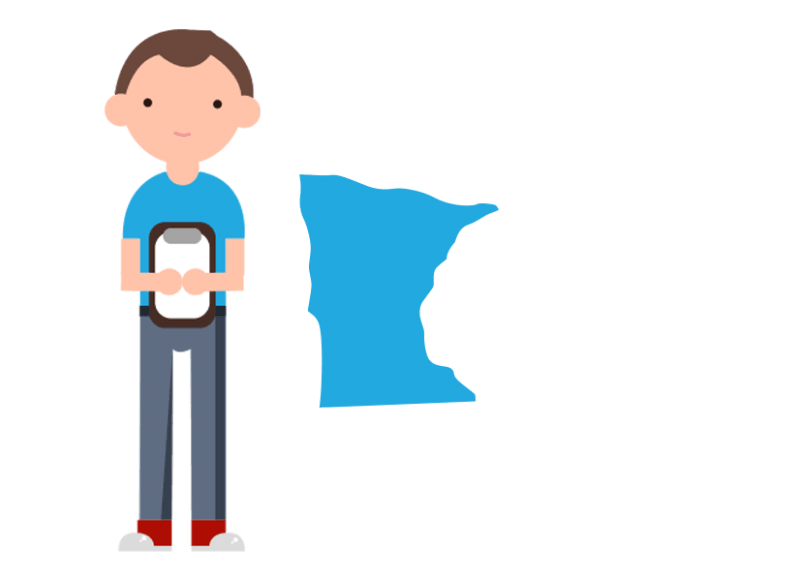 Shipping to Minnesota is easy with TSI by your side. All our movers go through a strict vetting process and are held to some of the highest standards in the industry. Enjoy damage-free delivery and courteous movers. TSI has been providing shipping services in Minnesota since 1989. Our customer service professionals know how to get you the lowest rate for your specific shipment. Your Minnesota shipping quote goes through real human review and is double checked for accuracy. Once your shipment is booked, you have the whole TSI team at your disposal. We’ll handle all the paperwork and offer our expert opinions. I was very impressed with the knowledge, professionalism, and genuine caring that I received from the folks at TSI. They were very friendly. They explained how the process would work in detail. Everything was done as they said it would be. I don’t mind paying a fair fee for such first class service. Everything was simple and done as agreed. Personnel I had contact with were pleasant and friendly. Delivery guys wanted to make sure we were pleased and everything was good before leaving. Being prior Military I've made many moves with many companies and this one shipment, although small, was the easiest and everyone was very polite and helpful. Thank you and I'll recommend you if I ever have a need for your services or know of someone that does. We appreciated the ease of the process. The movers gave us confidence through their pleasant personalities and through showing clear understanding and expertise in what they were doing. It was easy to tell they've done this numerous times. Get a quote online now. Or call our shipping specialists at 1-800-626-1257.